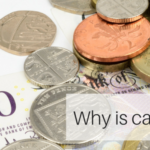 Why is car finance so cheap? What costs are covered in a finance agreement? Why is car finance so cheap? In recent years we've seen a real influx in the volume of people wanting to purchase new cars. This is for a number of reasons. In this article, we'll take you through the secrets behind the cheap finance deals. Sometimes it's cheaper than second-hand!